Way back in 2008, a recent grad from Vanguard University, Kelsey Richards, joined McDermott & Bull Executive Search as a Program Coordinator for the McDermott & Bull Executive Network. At the time she joined us, we had a discussion about her upbringing and she shared with me that her parents owned a chain of McDonald’s restaurants. They employed quite a few people in some very busy stores. Further, she shared that she grew up learning about business at home, at the dinner table, on weekends, and in car rides as her parents were entrepreneurs and were very focused on their business. I asked her if she read any good business books lately and she mentioned “The Dream Manager” as one that her parents suggested she read and it was quite impactful. Always looking for a good book myself, and an easy read (it’s about a 2 hour read), I picked up a copy over Labor Day weekend that year and couldn’t put it down. In fact, I left our hotel in Lake Arrowhead before dawn and went to Starbucks to read, and didn’t come back until I finished. What a great book! What did I learn? Everyone has dreams, even if they get swept under the rug because life takes over. We all start dreaming of doing amazing things at a young age, and then, because we’re given limits and consequences for going outside the bounds, we’re reigned in and so are our dreams. Matthew Kelly, the author, uses a fictional janitorial company and tackles some of their major problems, including retention, which ultimately gets them to realize that the company is nothing more than a job for their employees. They re-position the purpose of the company to become a vehicle for people to reach and live their dreams through their jobs. See, their jobs provide income, opportunity for growth for some, responsibility, potential leadership, and many more currencies besides just money. Those currencies, including the income, can be invested in helping the individual employees live their dreams, if only they knew how. We ordered about 20 copies of the book and passed it around to employees that wanted them, and then had a meeting for people that wanted to share their dreams. I learned that evening that Kelsey had a dream of becoming a baker, and possibly opening up her own bakery or baking company someday. A few of us at the table asked her what was stopping her, and we found out, really nothing. About a month later, our company had our annual holiday party and we left the desserts to Kelsey, and boy did she deliver! She’s a natural and continued to build her “side” business over the next year. About a year later, Kelsey told me she was seriously considering going to Italy for a year-long program at a culinary school to become a real world-class professional baker. I was very excited for her, although a little worried about how we would replace her at MB. She did give us about 6 months notice so we had time to find the right person. Fast forward nearly another 2 years, and Kelsey finished her year in Italy, and has a business that keeps her busy. It’s still a side business, but now takes 50% of her time, with the other 50% still devoted to the McDermott & Bull Executive Network. While she’s an outstanding employee and great asset to our program, if it’s in the cards, I’m excited for the day when she says she needs to quit to focus full time on her dream. Our role as leaders sometimes takes a strange turn. 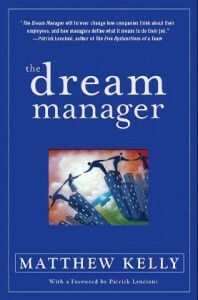 I never thought of a leader as a Dream Manager, but in some cases, that’s what we are. If we can understand our employees’ dreams and what they are working for, we have a shot at helping them achieve that. Even if it means moving on from our company at some point in the future. 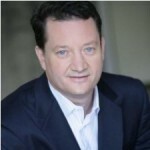 We have an executive coach, Vance Caesar, who has worked with our firm for about 10 years, who frequently says to us, “What do you want to be known for?” as it relates to our employees and their experience at our firm. He forces us to think in terms of our individual purposes at the firm, and has helped me with something that gets me up and excited in the morning, through all the bumps in the road of life and business. My purpose – at least for now – is “creating opportunities for people to live great lives.” As I’ve reached my late 40’s, over the last 10 years, I’ve seen the untimely death of a number of loved ones and friends, and have finally come to the conclusion that I know how this story ends (the real end, that is) and that it’s not worth sweating the small stuff when bad things happen. I’m at my best when I’m “on purpose” as I’m working with my employees, or my family members for that matter. 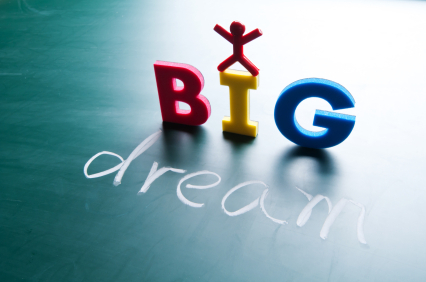 How can you become the Manager of your employees’ dreams? More to come on the Dream Manager in a later blog post. So true…thanks for sharing this inspirational article. Totally agree…Well said Rod. S.
Rod, very nice and well done. Thanks for sharing. Great post! I too am a huge fan of The Dream Manager and not sure if you know, but it’s based on Jancoa Janitorial Services, which is located in Cincinnati. Makes it that much better!